In a million years, I never thought the day I decided to take pictures of my spring porch would be the same day it would turn cold again after a week of 80-degree weather. I also didn’t expect it to be raining for the third day in a row. Truth be told, I almost posted something other than my spring inspired porch. I heard this voice in my head that kept saying, “No one wants to see your muddy rugs, wet paw prints or damp pillows.” But this is my reality and instead of waiting for the perfect weather to show up, I changed my way of thinking. Besides, there really is something about the rain washing away the pollen and giving the earth a fresh drink that makes it feel like spring is here to stay no matter what the weather. 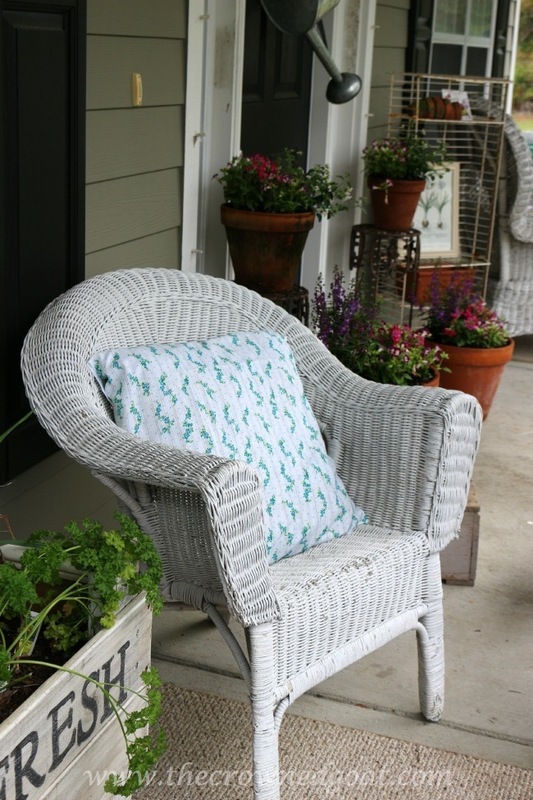 If you saw the spring inspired house tour yesterday you already know I chose the same colors on the porch that I have in the rest of the house, pale blues, greens and whites. I picked up these vintage pillowcases last week. I love their tiny cottage like flowers because they remind me of my Grandma. 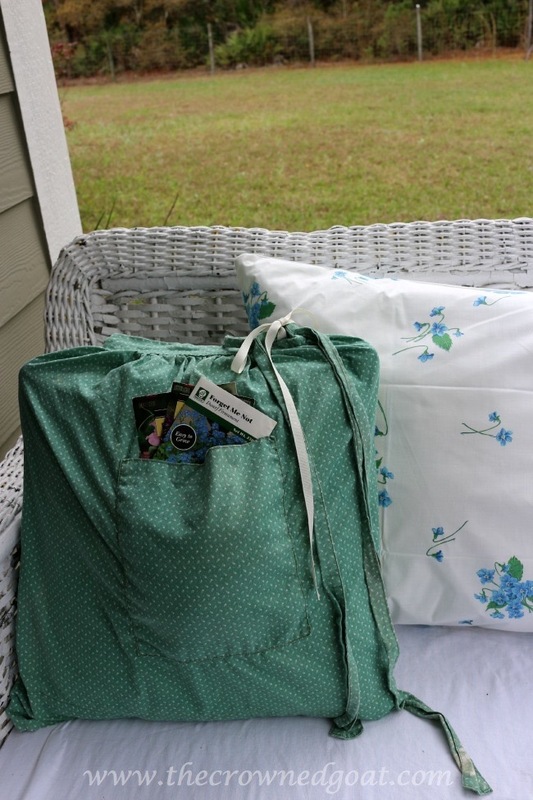 I made the green pillow from an old apron and stuffed the pocket with seeds since the porch seems to have taken on a garden theme. It’s always fun just to hang out on the porch and watch the dogs play, read a magazine or just listen to the birds chirping in the rain. This is one of my favorite spots. We’ve picked up a few colorful flowers for the porch last weekend. I’m hoping fairly soon we’ll be able to revamp some of the flowerbeds in the front and sides of the house too. We try our best to find native plants that are drought tolerant but usually the flowers I love the most need lots of water. I try to sprinkle a few of them on the porch since they stay planted in these clay pots all season. I’ve had this old grocery store rack for about a year now. I almost took it to the booth last weekend but it wouldn’t fit in my car with everything else I had packed in there. 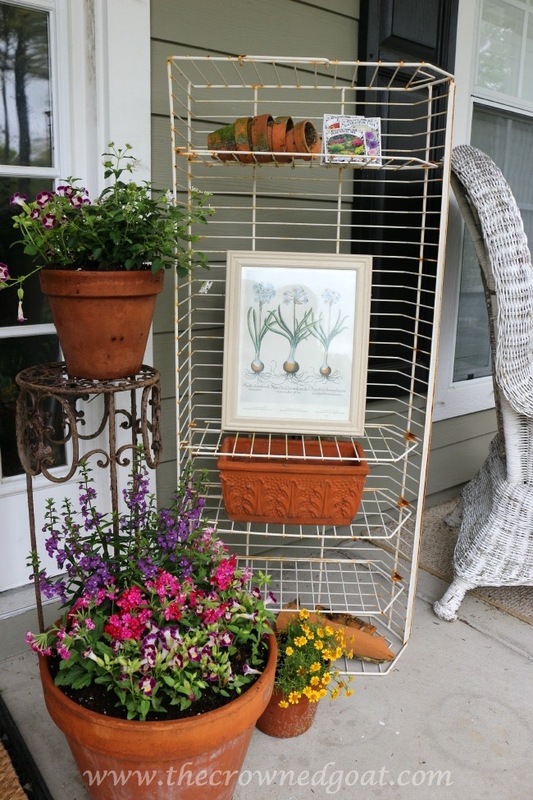 I think it may stay just a little longer now that I’ve repurposed it for my front porch display. The bulb picture is one that I found with my mom last year as well. I couldn’t find a wreath I really liked so I just decided to use this watering can we’ve had for a while. It’s huge. How sweet is my little white dog? She could be my shadow. Most of the herbs in the outdoor herb garden are growing really well. It looks like the parsley is taking over. I need to replant some rosemary and more Arugula. I bought this fabric last summer for $1 and made these pillows. Can you believe it? One dollar! 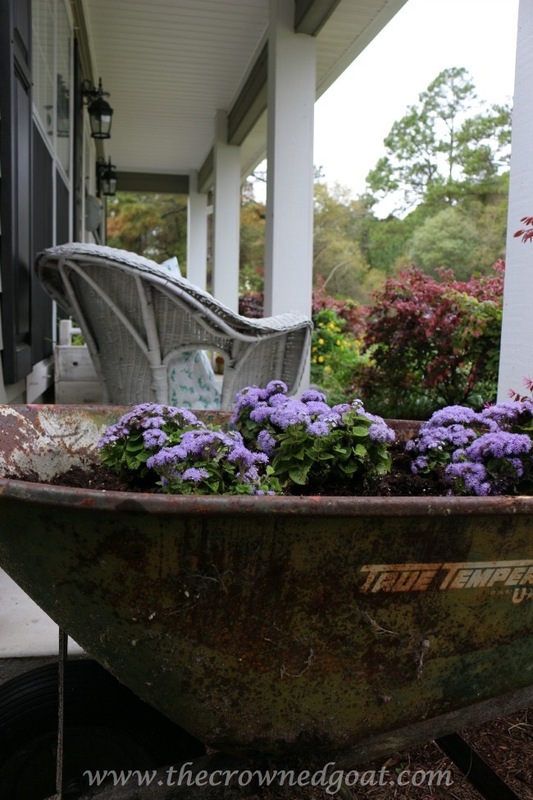 One of the handles to this old wheelbarrow rusted off and we need a new one, which means we can use this one for these pretty purple flowers. I’ve never tried to grow flowers in a container like this before so I’m excited to see how it works out this season. 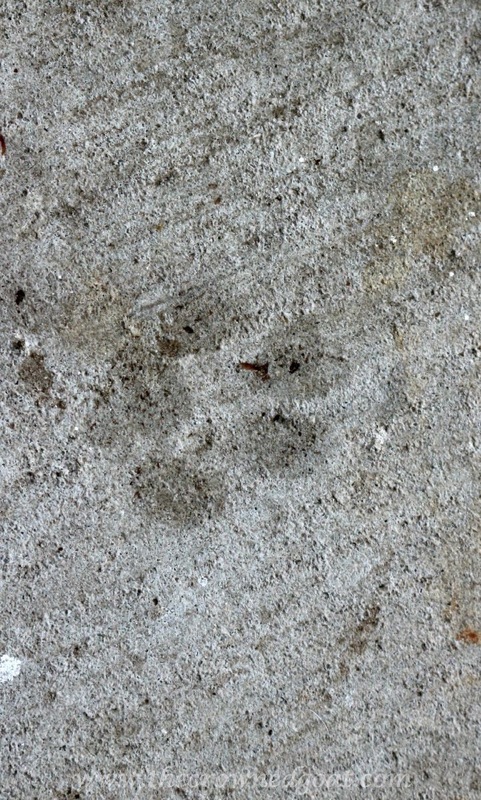 wet paw prints and all. 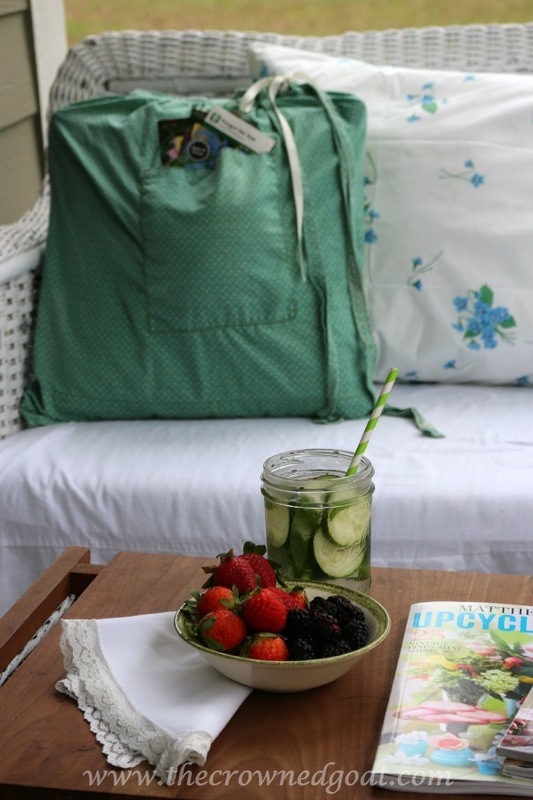 Hi CoCo – your Spring porch is a true inspiration for creativity and gardening. 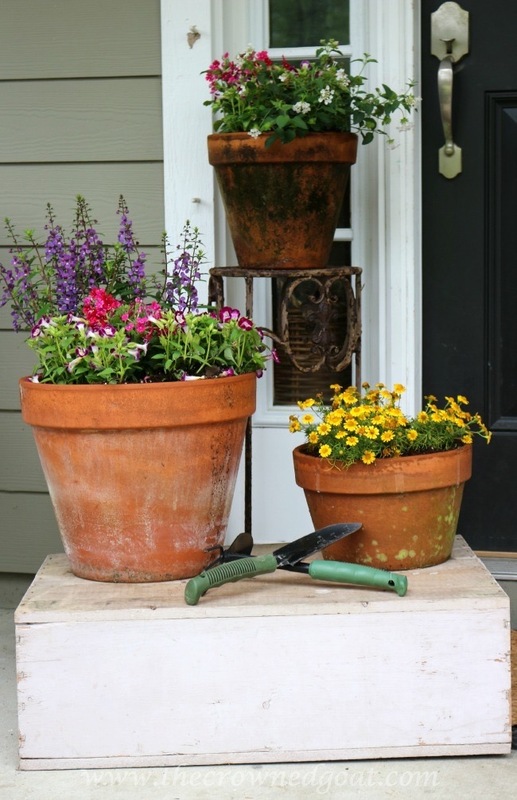 Love the aged clay pots and the wheelbarrow planter! The flowers are beautiful…and you can send that sweet dog to Atlanta! Hugs to a great day! What a beautiful porch you have Coco! 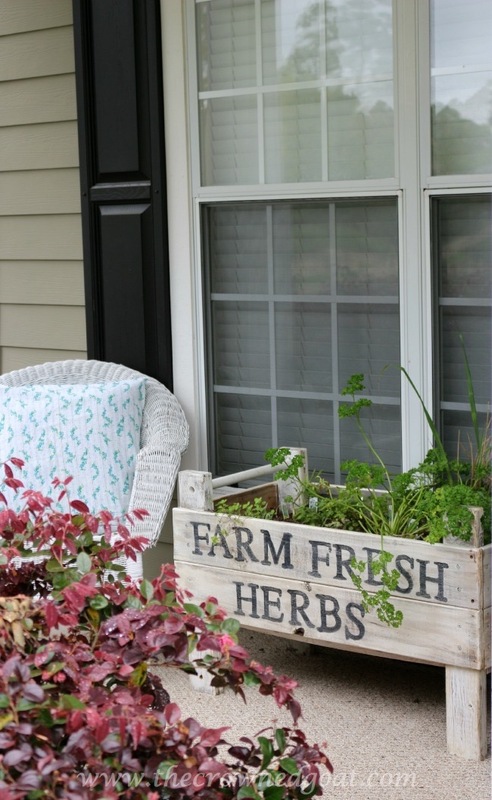 I can see why it’s your favorite spot to just sit and enjoy your dogs in the yard 🙂 I am crazy about that herb garden in a box too ! This is such a cute vignette! 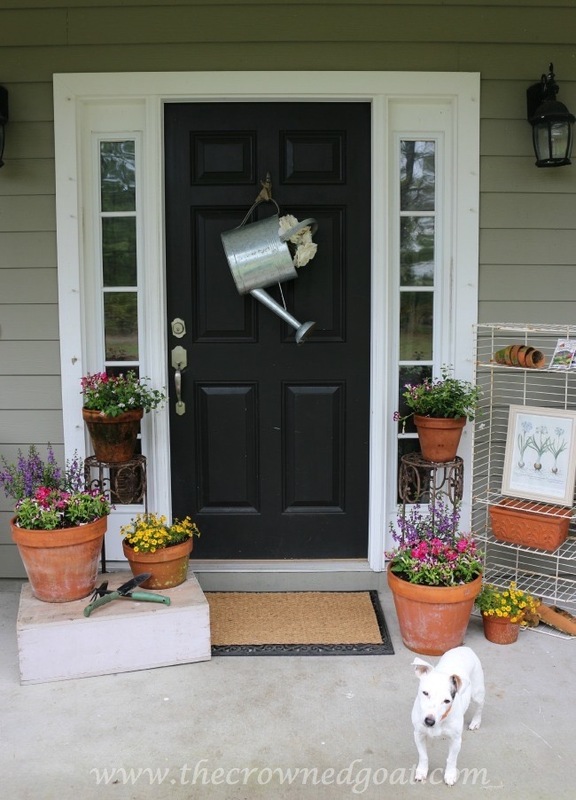 Love the watering can on the door. 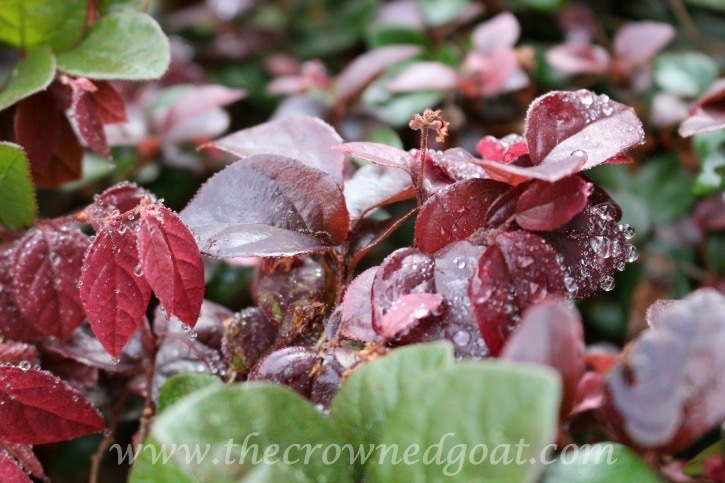 We are currently updating our front yard landscaping and will be pinning this for tips! Thanks for Rockin’ the Inspiration! Love all the pretty colors. That’s sweet of you Victoria, I think you’re awesome too girl! Yay for spring! 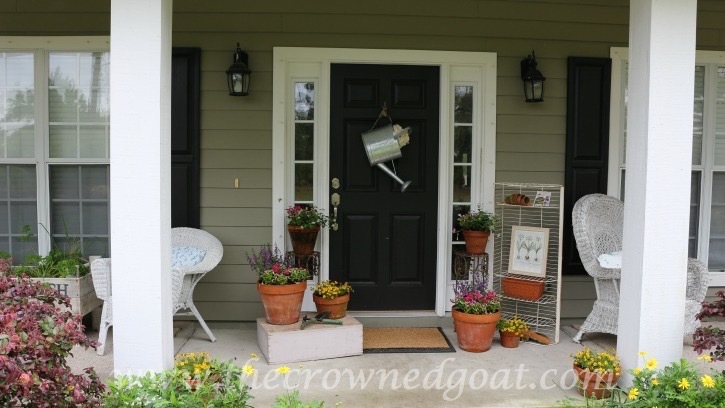 I love all the details of your porch! I would love to have you link up with us at The Creative Circle! The party is open through the end of the weekend. 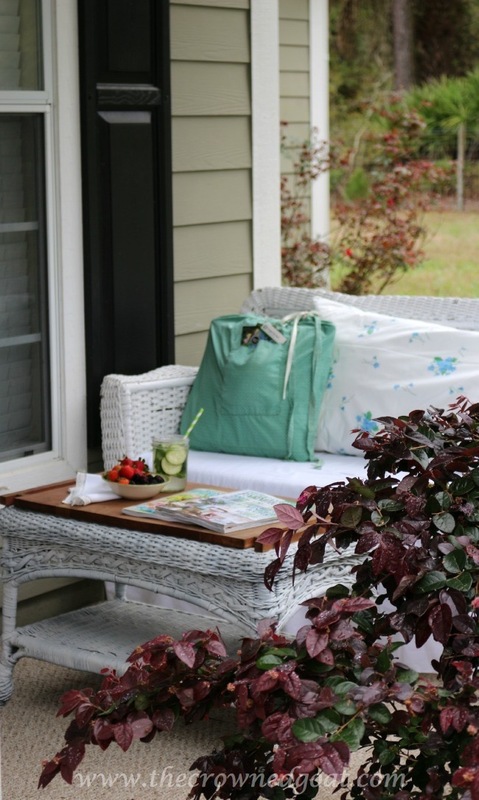 In my next home I will have a porch and I imagine it will look something like this! Beautiful. Thanks for sharing, I found you through Olives-n-Okra Funtastic Friday!